Find here your deals and coupons Wild Bounds. 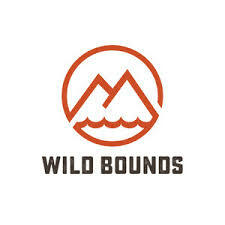 If your adventurous spirit takes you down a trail, up a mountain, through wind or water, or into the snow – then WildBounds is for you. We are a growing team of adventurous folk, from various backgrounds including publishing, retail and investment banking. We’re an ambitious team of outdoor enthusiasts, writers, designers, and above all — doers. We aim to bring… you the coolest kit from independent outdoor brands at the best prices. While our specific interests and activities differ, we share a passion for the outdoors, for adventures big and small, and for discovering the stories behind the people and places that inspire us. And we share a love for storytelling – discovering the awesome and sharing it with you, our customers.